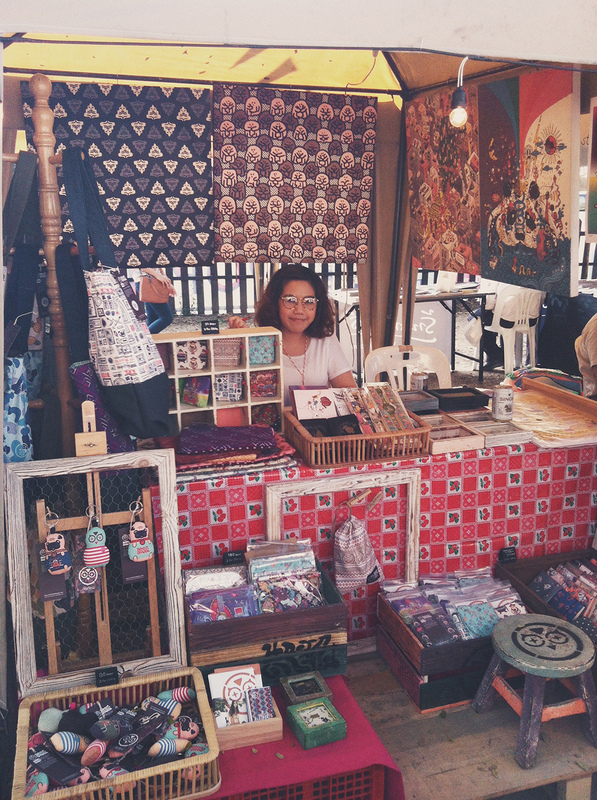 Nokhookdesign believes in handmade work produced in a limited amount. 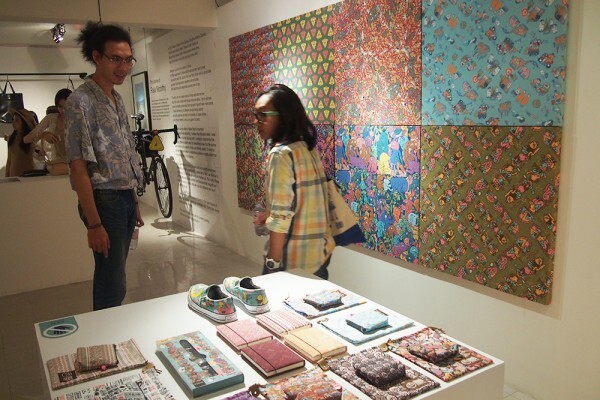 The majority of its works focus on pattern design mixed with line drawing and computer program to reflect the idea of combining modern and traditional styles in perfect harmony, which is clearly evident in the brand’s collections of everyday items. 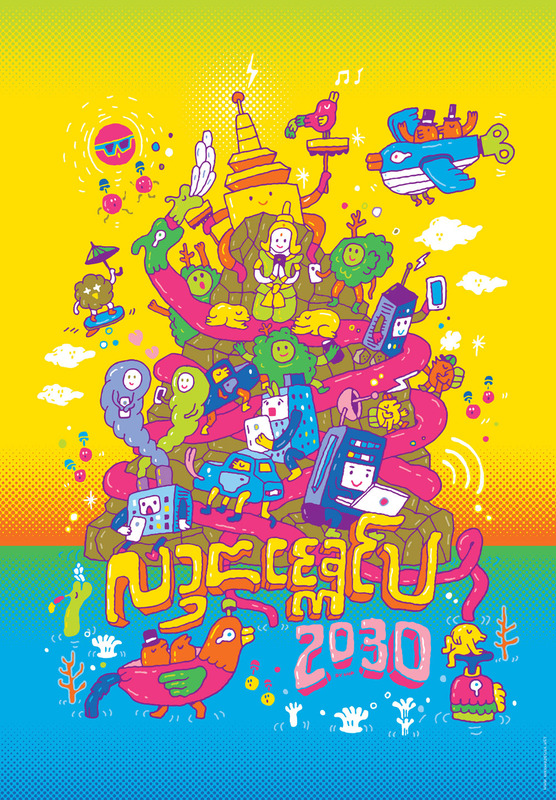 Thailand Creative & Design Center (TCDC), in collaboration with Thai Graphic Designers Association (ThaiGA), exhibits “Poster”, a classic communication channel specially designed for Chiang Mai Design Week 2014 under the theme “Future” by Thailand’s leading graphic designers featuring Shy Limanon (SHYLIMANON DESIGN), Teenop Wangsillapakun (TNOP DESIGN), Tanarat Thepkaew (Studio Lazy Sunday Party), Kittichat Thongpliew (TDS), Anukun Hamala (Nokhookdesign), Vachira Ruthirakanok (Rabbithood Studio), Nattawit Thongprasert (To Be Designed), etc. 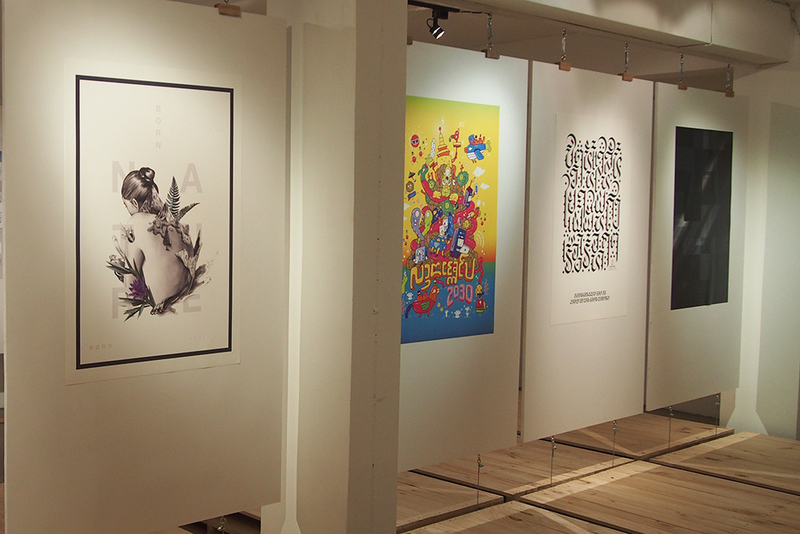 One hundred copies of each of the 15 posters are printed to be given away to all visitors. 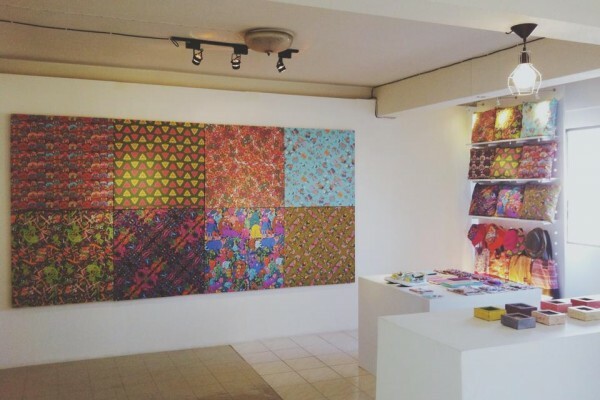 Notes: Papers and printing plates for Poster Exhibition are sponsored by Antalis (Thailand) Co., Ltd. and Songpol Press Limited Partnership respectively. 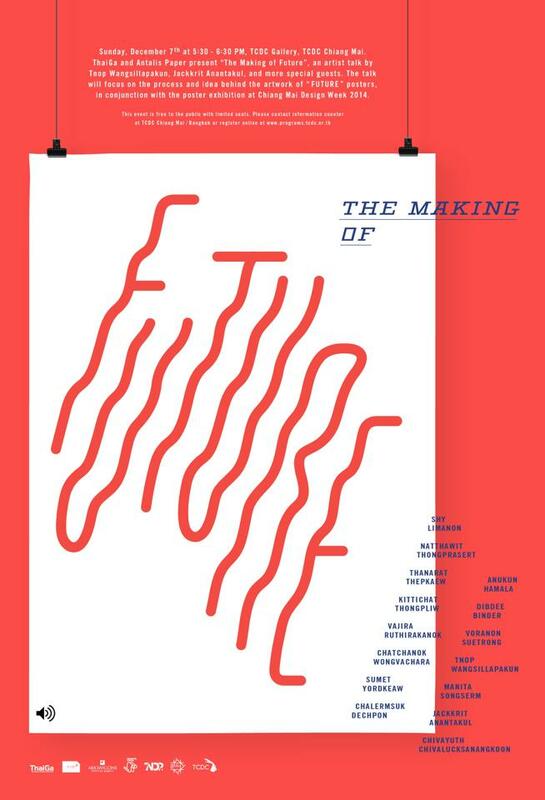 Practice designing and creating a cover from your surrounding within a limited timeframe following Nokhookdesign’s way. 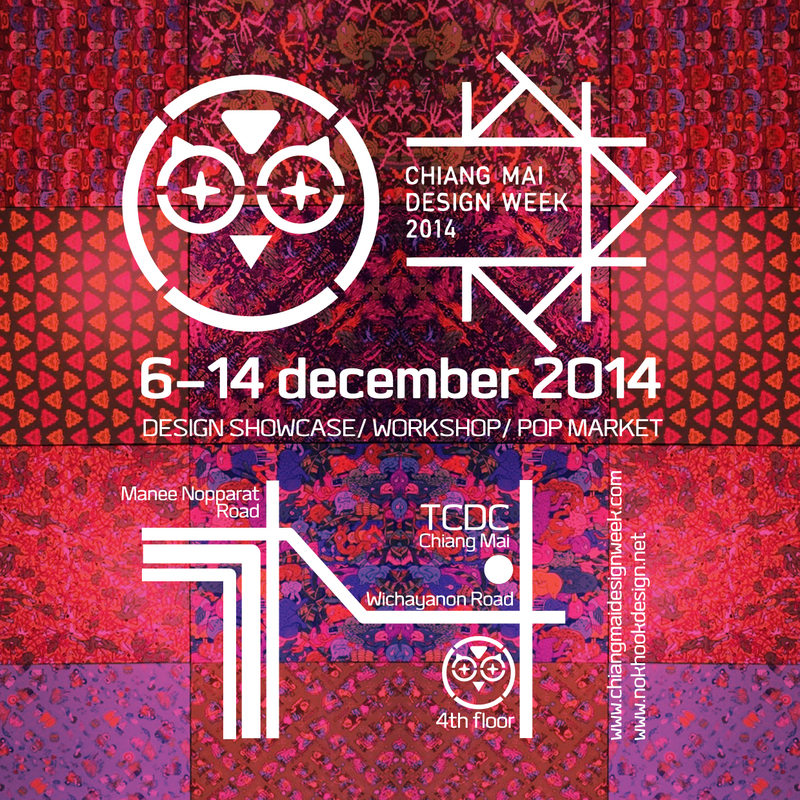 – Bring personal notebook with an installed licensed copy of Adobe Photoshop, Illustrator, Indesign. 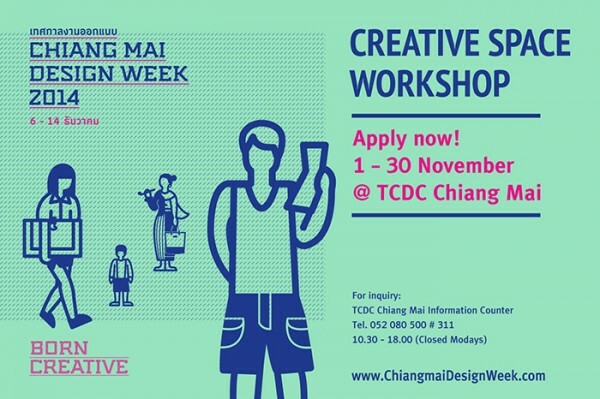 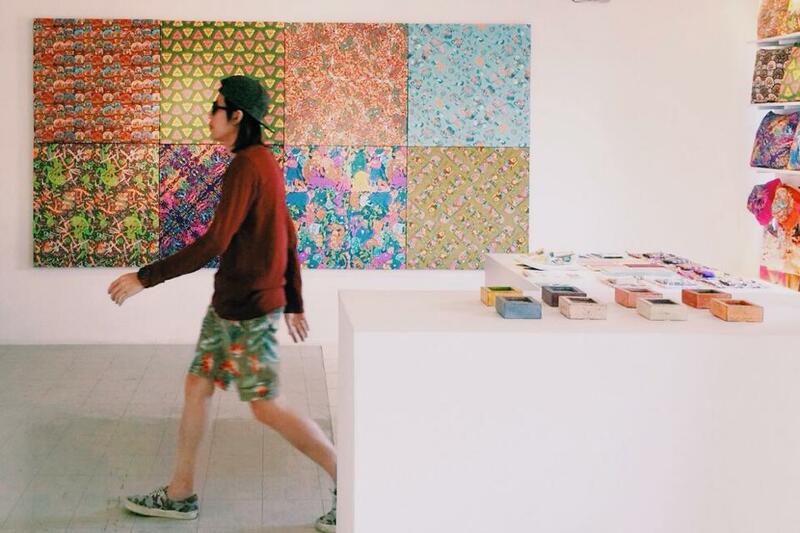 Send a few of your design-related works and write reasons why you want to join in Nokhookdesign’s workshop and send via email to workshopcmdw2014@tcdc.or.th or at TCDC Chiang Mai Information Counter on 1 -15 November 2014. 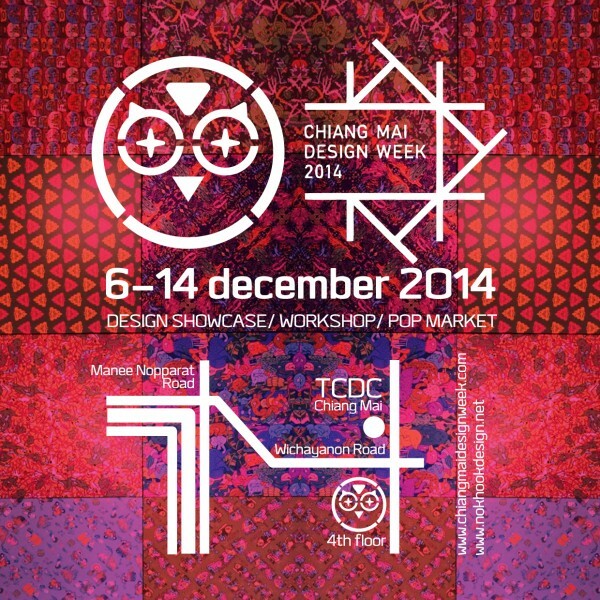 The list of selected participants will be announced in www.chiangmaidesignweek.com on 20 November 2014. Selected Participants must register for the workshop at TCDC Chiang Mai Information Counter on 25 – 28 November 2014. ​A lifestyle activity where you can find more than 100 up-and-coming local brands that is unique and vibrant. The first of its kind in Chiangmai – a retail therapy in the heart of the city with food & beverage and enjoy listening to music with VINYL DJ SET by SUPERRZAAAP! 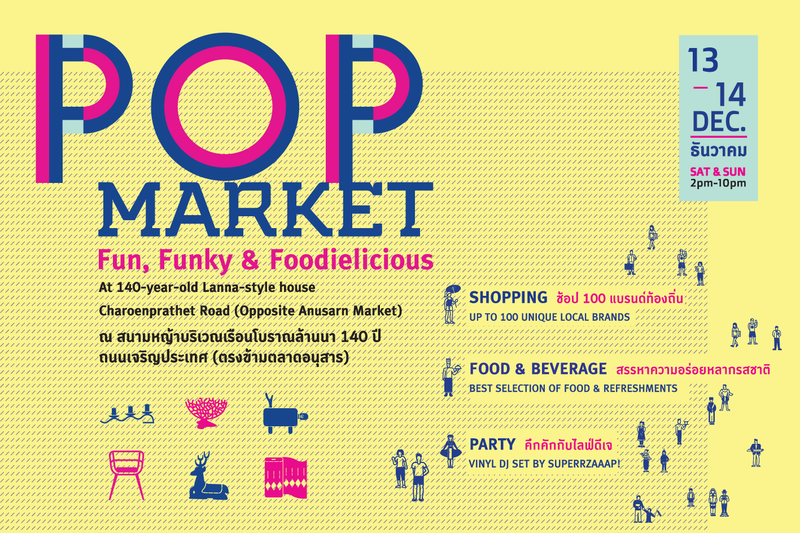 Sat 13 – Sun 14 December 2014, 2 PM – 10 PM – Front yard of The 140 years Lanna Ancient House. 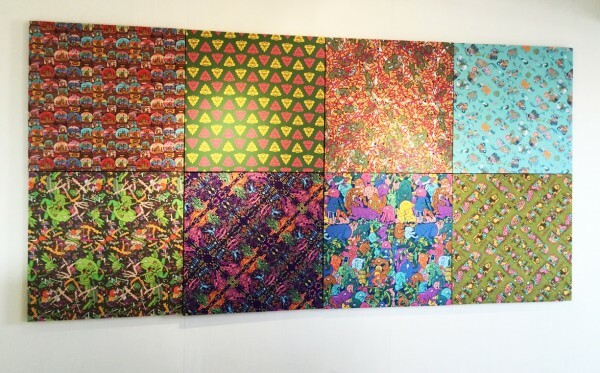 See more detail Click Here.